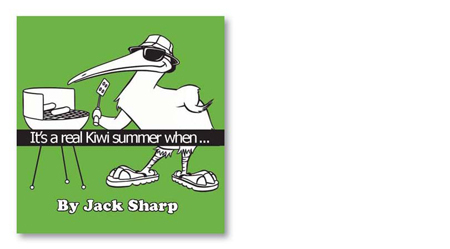 The smell of charcoal from the barbie almost rises from the page in this hilarious collection of insights into what makes a Kiwi summer – complete with backyard cricket and sand that always sneaks into baby’s nappies. Jack Sharp raises more than 100 smiles as he captures what makes a New Zealand summer so yummy. For trade sales inquiries, please contact Hurricane Press.